Revalidation in the pharmaceutical industry is very important as it helps to maintain the validated status of the equipment, plant, manufacturing process as well as the computer systems. This procedure is necessary for periodic checking of the validation results according to the revalidation period. In addition to that when you transfer products from one plant to another then revalidation is a must. Revalidation also becomes necessary when a change is made to the plant, manufacturing or cleaning processes. This ensures that the medicines produced are of high quality and safe for the end users. This process is mandatory by law for quality assurance purposes. 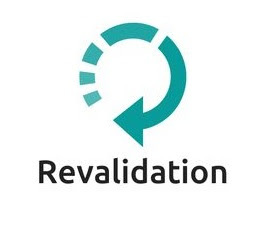 While validation is a process of collecting and documenting the information about the operating parameters, revalidation focuses on ensuring that the product quality remains unaffected by the changes in the process machinery methods and scale-ups, process environment etc. 1. Scheduled periodic revalidation according to the revalidation period as per the government regulations. 2. Revalidation after a change in the product, process, plant or manufacturing process. Scheduled periodic revalidation refers to revalidation which must be carried out in a pharmaceutical plant at regular intervals. It is often mandatory when the company makes any changes to the procedures, formulas, equipment, manufacturing process, packaging material or manufacturing support systems like water and steam. The process validation becomes mandatory for an established product as even minor changes may affect the product’s quality to a great extent. A separate qualified team is required for the revalidation process. In some cases, it becomes necessary to carry out the performance tests which were used for the first time validation of the product. For which changes does revalidation become necessary? 1. When the raw material is changed: If changes are made to the starting material of the product, then revalidation process must be initiated. It is also necessary to revalidate in case the physical properties of the raw materials are modified. It includes modification in the viscosity, crystal properties, particle size and specific gravity of the active ingredients as well as the excipients. 2. Packaging material changes: A revalidation is required when the packaging material of the medicine or product is changed. Although packaging material may not have an adverse effect on other physical goods, it is an important factor in case of pharmaceuticals. If the packaging material which comes in direct contact with the dosage is changed then it may have an effect on the stability and quality of the medicine. 3. Manufacturing process changes: If any changes are done to the manufacturing process like a change in the timing or sequence of processes, cooling time, temperature variations, then revalidation is required. 4. Change in equipment: If new equipment is introduced into the plant or changes are made to existing instruments, then it can change the accuracy of measurements of the raw materials. 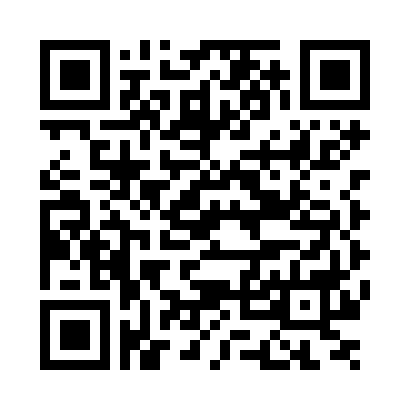 This can affect the manufacturing process to a great extent. Hence it is necessary to do revalidation in this case. 5. Support systems: If the support systems like water pump, ventilator, and steam generator are changed or repaired, then revalidation is required. The support system can have a great impact as far as keeping the production environment sterile is concerned, and even minute changes to the system can have larger impacts. The pharmaceutical industry is a very important part of the health and fitness industry. Certain drugs and medicines can spell the difference between a person’s life and death. For this reason, it is necessary to take proper care to ensure the validation and revalidation processes are as effective as possible. Is periodic revalidation comsidered in USFDA Process validation guideline. You should add revalidation conditions in process validation protocol. If I validate a process in some equipments and than want to run the same process in some other equipments of same plant with same batch size, do I need to revalidate it as per PMDA and USFDA guidelines? Yes in these conditions you have validate the process again. You can change the range using a change control if your product doesn't have any problem with increase temperature. Continued process verification include the analysis of the quality of raw materials, in-process material and finished products while annual product quality review analyze only finished product.